According to the ancient art of ornithomancy, a lady can turn to birdwatching on St. Valentine’s Day to discover the identity of the person she is destined to fall in love with. The skill of reading signs from the flight and sounds of birds is said to date back to Greek or Roman times. Legend suggests that the first bird seen by an unmarried person on St Valentine’s Day is an omen of her future partner’s character. To take one example, those who happen to see a sparrow first of all will find themselves betrothed to a farmer or a gardener. More amused by folklore than believing, Kerry called up two love-stricken sparrows cuddled together in the protective shade of a willow tree. 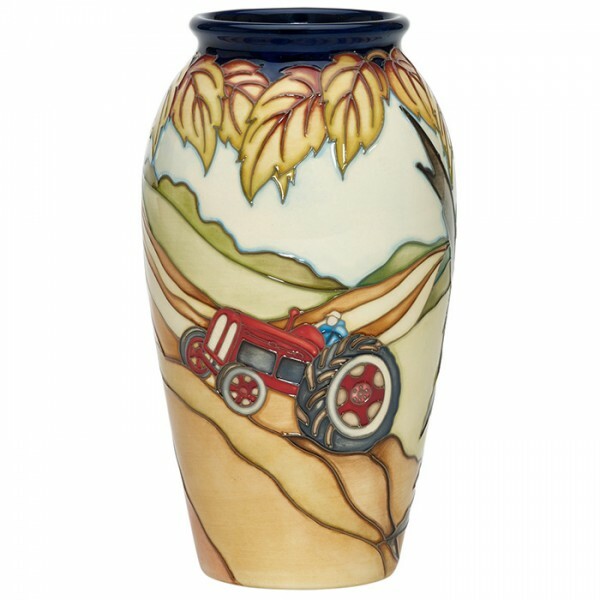 From this vantage point, we are introduced to a Moorcroft landscape of rolling hills, trees and even a bright red tractor. Just as she does herself, Kerry knows that Moorcroft connoisseurs love both sparrows and tractors. 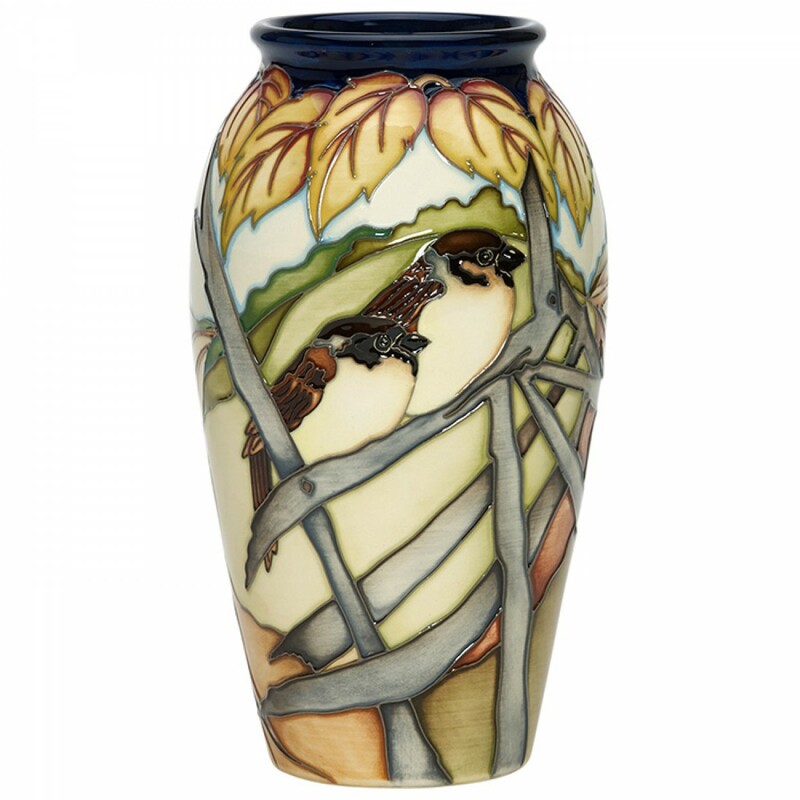 As a result, Love’s Omen is a warm, familiar design coming straight from the heart of Moorcroft on the direction of one of its favourite designers.